This year marks the 50th anniversary of James Bond’s inception on the big screen and ‘Skyfall’ triumphantly reminds us why he remains one of the greatest icons of cinema. The film perfectly captures all the classic hallmarks of the Bond franchise while bringing a much needed fresh approach to the series following the lacklustre ‘Quantum of Solace’. The crux of the film centres on power struggles, not just between Bond (Daniel Craig) and dastardly villain Raoul Silva (Javier Bardem) but also internally in MI6. ‘M’ (Judi Dench) is losing her grip as the Iron Lady of British security, under pressure from government official Gareth Mallory (Ralph Fiennes) as well as Bond himself, questioning her judgment and leadership for the first time in the series. Under new direction from Sam Mendes the series is given a new lease of life with a strong plot coupled with an excellent screenplay from Neal Purvis, Robert Wade and John Logan who make sure the action does not take centre stage from the characters and their relationships. Daniel Craig has divided opinion amongst Bond aficionados but there is no doubt that in ‘Skyfall’ he gives his most complete and engrossing performance as a 007, far different from those seen before. Bond is not his usual confident, suave character but a haggard shell of his former self, ravaged by his chaotic life as a secret agent and driven to drink. Craig plays the most believable, well rounded Bond yet as opposed to the tongue and cheek portrayal by Rodger Moore or the chauvinist womaniser of Sean Connery. As strong as Craig’s performance is he is usurped from the limelight by his supporting cast; particularly Judi Dench and Javier Bardem. Bardem is superb as unhinged villain Raoul Silva, firmly cementing his place in Bond history with classic adversaries Oddjob, Jaws and Blofeld. Judi Dench follows suit as she gives her most prominent performance as head of MI6, ‘M’. In her previous appearances as ‘M’ she has been little more than a periphery character yet in ‘Skyfall’ she takes centre stage in terms of plot and on screen presence. Although she is on Bond’s side she portrays a ruthless streak which culminates in her call for agent Eve (Naomie Harris) to ‘take the bloody shot’ which almost causes 007’s demise, taking his apparent end with little remorse. Lastly Ralph Fiennes, as expected, gives a polished performance as ex-army man turned government desk worker Gareth Mallory. 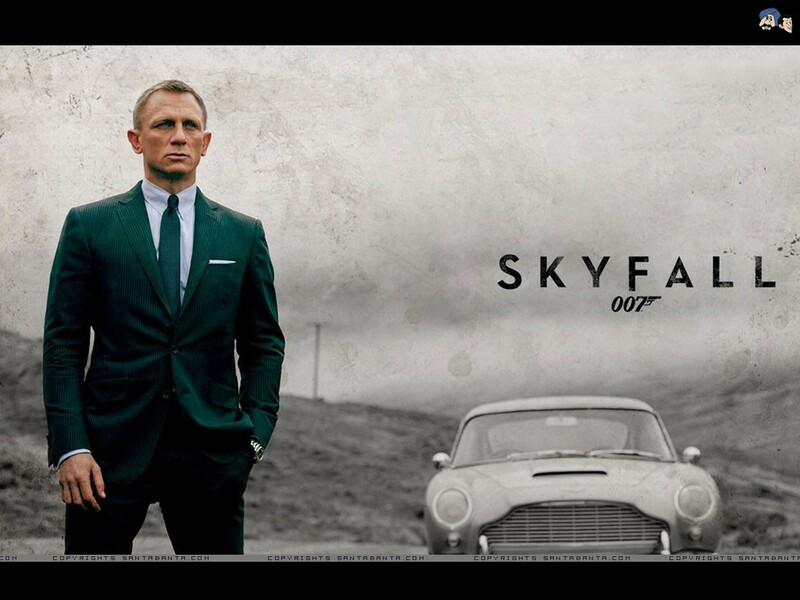 The success of ‘Skyfall’ boils down to the fact it goes back to the basics of Bond and attempts to fit in all the classic traditions of the franchise that made it so popular; Martinis (Shaken not stirred), one-liners, classic cars, Bond girls and gadgets. For any true Bond fan ‘Skyfall’ is a pleasure to watch as these trademarks of Bond are cleverly slipped into the film each with their own modern twist. ‘Skyfall’ is not only a tremendous film but also a homage and celebration of the last 50 years of Bond films, managing to perfectly bring the franchise to the modern day while keeping with the traditions shaped in the last 22 films of the series. ‘Skyfall’ has it all and is Bond at his most exhilarating for a long time, whether this is your 23rd Bond film or your first you will not doubt enjoy every second.